Mallorca Cala Ratjada Transfer. Cala Ratjada is a resort that sits in the north easterly point of Majorca and is around one and a half hours from Majorca’s airport in Palma. The town extends either side of the Punta de Capdepera peninsula. 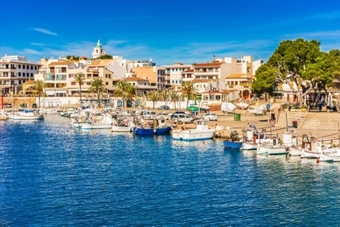 The heart of the town is around the harbour and the long promenade that stretches from Playa Son Moll to the south to Cala Gat on the peninsula. The beaches in Cala Ratjada are very popular because of their fine white sand and crystal clear turquoise seas – ideal for soaking up the sun. You can also enjoy many water sports such as diving, water skiing, windsurfing and sailing. 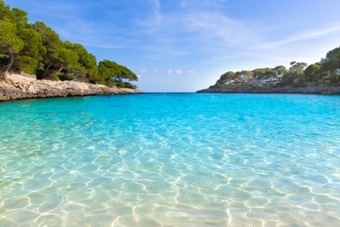 Cala Ratjada is the closest point in Majorca to Menorca and on a clear day it is possible to see Ciutadella, the old capital of Menorca to get from Mallorca Airport to Cala Ratjada you need an Mallorca Cala Ratjada Transfer Service. You need a ride from Majorca Airport ? 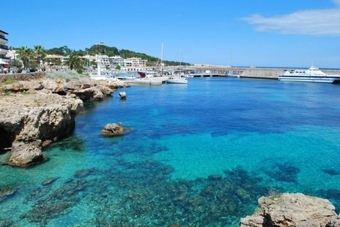 Our Mallorca Airport Transfer Service will bring you to Cala Ratjada and many other areas. This transfer service is a door to door service, we will pick you up on time and will bring you without stopovers to your destination. Our Majorca Airport Price list you can find here. Easy booking. Reliable service. Great prices. You can reserve & book your Transfer via our Mallorca Airport Transfer online booking form … You don’t pay in advance, you pay it to the driver. We provide reliable, low-cost airport transfers from Mallorca Airport to Hotels and private accommodation (holiday homes) in the Region of Cala Ratjada Majorca. We use a modern fleet of fully licensed & insured Vans, minivans and minibuses. We will take you from the airport to your destination and back in comfort and safety, at a low price and with great 24 h customer service. No extra charge, no hidden fees, pay upon arrival to the driver. You can book the transfer simply from home through our online form, without risk, because you do not pay ahead. If you need more information please visit our Frequently Asked Questions page or contact our customer service. Our fast online booking service with friendliest and dedicated staff to work with us will give you the best service. If you want to reach your holiday destination safely without any discomfort then choose us. We offer on-time and reasonably priced services to our clients with our best service Mallorca Cala Ratjada Transfers. We don’t compromise with the quality of our services because of any reason. Being a leader in the domain, we understand that no traveler wants to miss the flight. This is why, we keep a track on flight schedule and always drop the travelers on time. We pick up on time without any stopovers from Majorca Airport and Transfer you to any Hotel in this area. You can book before arriving to save 40% on each airport ride. The benefits of a Majorca Airport Transfer are very popular and you can avail them all by booking Majorca Airport Transfer for your next airport ride. When it comes to cost, it is quite reasonable. In compared to various other means of transportation, it is affordable. We will bring you from Majorca Airport to Alcudia, Cala Millor, Palma, Cala Ratjada. We will pick you up on time and will take you without stopovers to your destination. Our price list you can find here under Majorca Airport Transfer Prices. If you want read the Testimonials from our Customers please got to Testimonials page.